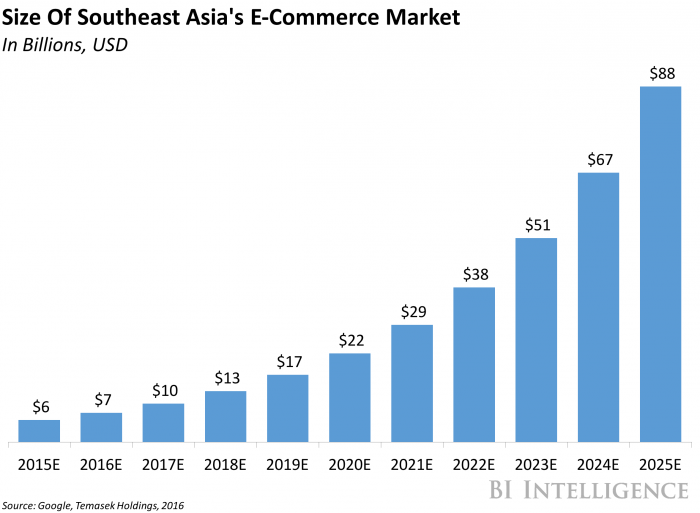 We’re diving into the appeal of eCommerce in South East Asia and the exciting growth the region represents. Amazon recently launched in Singapore and whilst Singapore alone represents a small portion of Southeast Asia’s population, the impending launch is widely seen as a test-bed for further (and likely rapid) expansion around the rest of the region in the coming months and years. Affiliate marketing may be the cost effective ace in the hole here for local retailers — unlike other forms of marketing, affiliate is not about simply getting eyes on the page, but tangible sales and revenues for online retailers that will see them (as they have in Europe) not only compete, but thrive in an ecosystem post-Amazon. The promise of fast ecommerce growth in South East Asia, has not only prompted affiliate network’s to setup shop but has lured China’s two e-commerce giants — Alibaba and JD.com — to explore opportunities in Southeast Asian countries. JD.com has hinted at an investment in Indonesian e-commerce company Tokopedia and Chinese behemoth Alibaba paid $1 billion last year for a controlling stake in Singapore-based Lazada, which owns a portfolio of popular e-commerce sites across the region. Google’s head of e-commerce, travel, and financial services, Marc Woo has stated that Southeast Asia will be the next major boom market for e-commerce in Asia-Pacific (APAC). The middle class population of ASEAN will reach 400 million in 2020, up from 190 million in 2012, according to Nielsen projections. Meanwhile, internet access has been expanding — 130 million people in the region now have smartphones and about 200 million people in Southeast Asia have some form of internet access, and that will triple to 600 million by 2025. ASEAN’s strong economy, younger generation, increasing international investment and ongoing economic growth has laid a solid foundation for the region to become a leader in the digital economy. If the region was represented as a single country, it would be among the largest economies in the world, behind only the United States, China, Japan, Germany, the United Kingdom, and France with a combined GDP of $2.5 trillion. Fragmented market via geographic, economic, lingual and regulation. This translates to adjusting strategy and meet different local requirements of each country in the SE Asia region. Strength of the brick and mortar retailers and consumers being located within a close proximity to an offline store. Therefore the convenience aspect of online retail is not as valuable to the consumer in these regions. Low Credit Card Circulation — Much of SEA is a cash driven society so payment methods such as COD and Bank Transfer are customer preference. This limits ecommerce from scaling and reduces growth. This may result in high validation risks due to orders failing to complete. Low banking use — In Indonesia for example, only 20% of the population have a bank account, those that do, 7% use internet banking and 2% have credit cards. This limits the convenience factor of online retail. Dominance of mobile commerce, in which many eCommerce retailers don’t optimise for and thus will effect conversion rate. Excluding Singapore & Malaysia — Much of SEA is considered developing, thus disposable income is not available to impulse or discretionary spending. Logistics — Across region shipping is slow and prone to long delays in delivery. Road traffic is dense and therefore challenges eCommerce retailers from providing fast delivery speeds. Education — the concept on purchasing online for much of SEA excluding Malaysia and Singapore is still immature. While payments remain a challenging process of the online customer journey across the region, Singapore has developed one of the most mature payment infrastructures. A survey by Payvision shows that most domestic eCommerce sales are paid by credit cards and bank transfers, while Cash on Delivery is also present but not as commonly used as in other countries in Southeast Asia. For cross-border purchases, Singapore’s preferred payment methods are credit cards and PayPal. 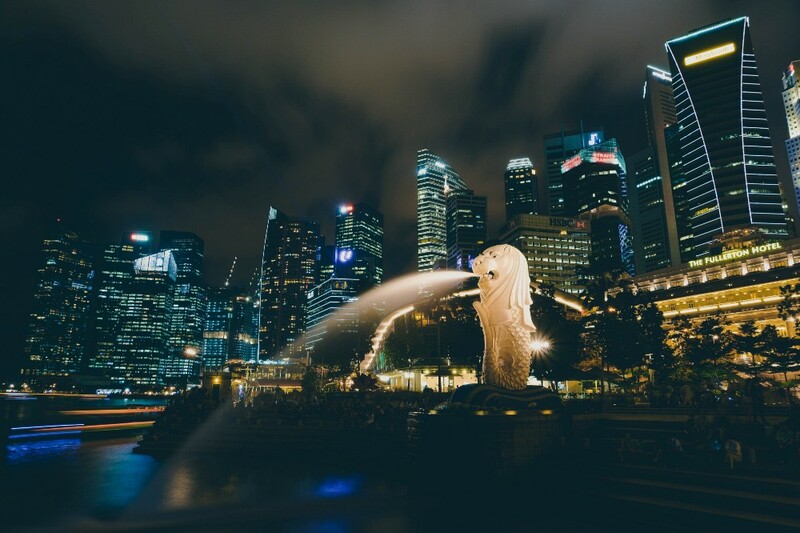 Home to a sophisticated, international customer base with the highest disposable income in the region, Singapore is the most established eCommerce marketplace in Southeast Asia. 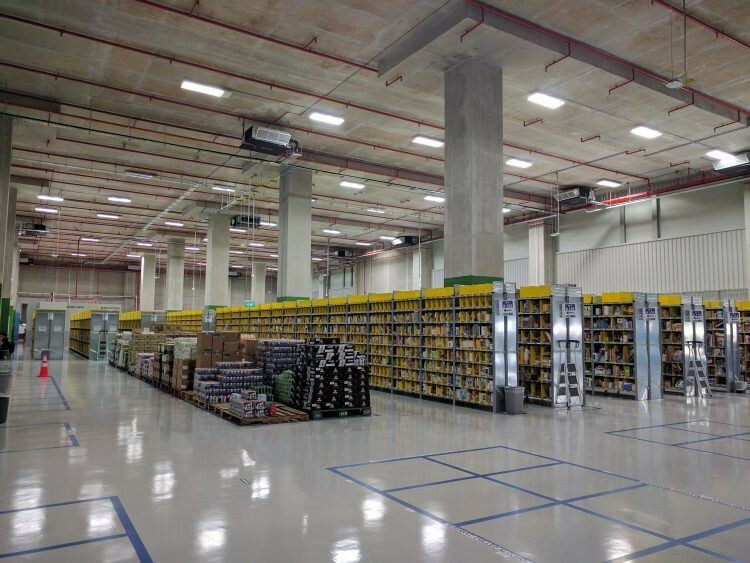 According to the World Economic Forum’s 2014 Global Information Technology report, it ranks as Asia’s most connected, network-ready environment in terms of market regulations and also boasts a best-in-class logistics infrastructure. The city state is an ideal gateway into Asia Pacific’s eCommerce sector, given its high connectivity to other regional markets and significant share of cross-border trade. Singaporeans are shopaholics and shopping malls are present all over Singapore. However, while still low, this does not hinder the well connected Singaporeans to take their shopping increasingly online. A recent study by Visa shows that 26% of Singaporeans shop online at least once a week and 58% purchase online at least once a month. 50% of Singapore netizen would do all their shopping online if possible.